Regina made her career focusing on sustainability in the private sector. 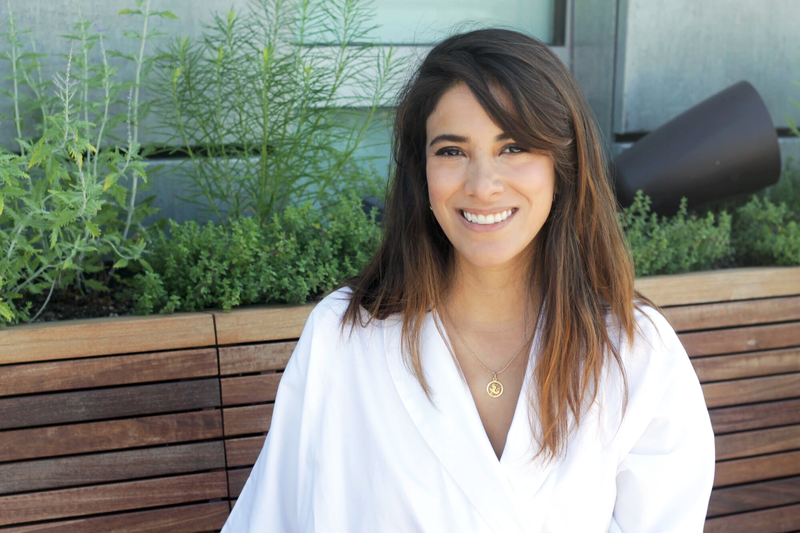 Here at The Sloth, we listen in as the Bolivian-born Monje talks about growing up in South America, and her “awakening” to ethics and sustainability in the fashion industry. Monje reflects on what inspired her interest in sustainability in the first place. On what keeps she motivated to do what she does. ”What really inspires me is hearing stories from companies that are doing good and innovative things that have a positive impact in the world.” Having lived in developing countries she highlights the importance of paying craftsmen in those countries a living wage and to implement technological solutions to reduce the environmental impact and in order to preserve the biodiversity. After our conversation, Monje takes me to her beautiful rooftop which looks onto the East River for her photoshoot. She is wearing the Malaga shirt and Hermosa skirt from Sophie H styled with white sneakers and delicate gold and silver jewelry.